According to a new research, it was revealed that protein is the most essential element for body. Protein is necessary for skin, blood, muscles and bones growth. After menopause women who have small amounts of protein in diet their chances of getting osteoporosis increase by 30%. If you’re vegetarian then you can intake protein milk, dairy products, walnut, peanut, lentils, tofu, peanut butter and spinach. In addition, chicken, egg whites and fish contains large amount of protein. 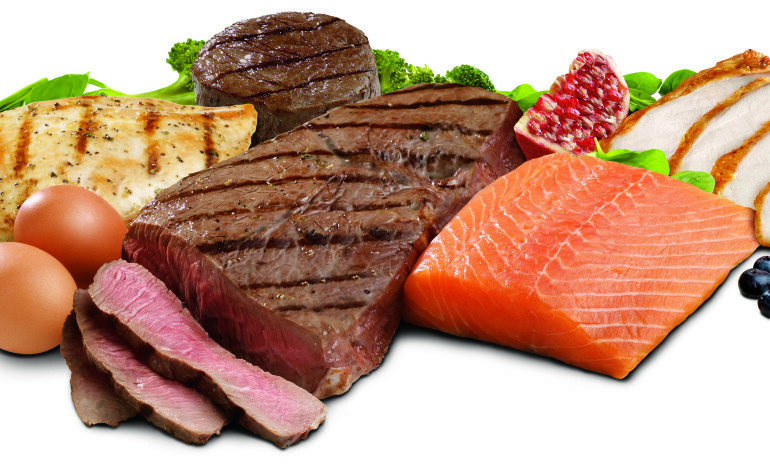 Helpful for Muscles: Protein’s biggest advantage is that it helps to build muscle in the body. For this, you should eat eggs in your diet especially if you’re doing workout in gym. Reduce Weight: Protein takes longer time to digest. It takes more calories to burn. Stomach will be filled for a long time and it will help you to eat less and lose more weight. Stronger Bones: Protein also known to keep bones, ligaments and other connective tissues healthy. Bones and tissue become stiff and easily breakable due to deficiency of protein. Functioning of the Body: Functioning of the body remain healthy due to intake of protein. It provides energy, power to immune and removes dirt from the body. It also controls appetite. For Hair and Skin: It is good for our skin and hair. Hair and nails have carotene protein. It strengthens hair, makes flexible and shiny. It makes hair, skin and nails healthy and shiny. Growth for Children: Children should have a balance diet containing vitamins, protein, minerals and carbohydrates for energy level. Fish, dairy products, cereals, dry fruits etc. are good source for protein. Cure Wound: Protein immediately fill the wound or injury. Protein contains high amount of calcium so it quickly fixes cartilage. Memory: Brain becomes quite active when you intake protein-rich food in the diet. Your brain activity depends on your diet. Body Strength: It gives you energy. So do not forget to include eggs, beans, pulses, meat etc.